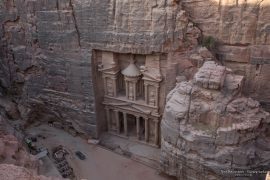 For the second time in my life I had the chance to visit Petra in Jordan. 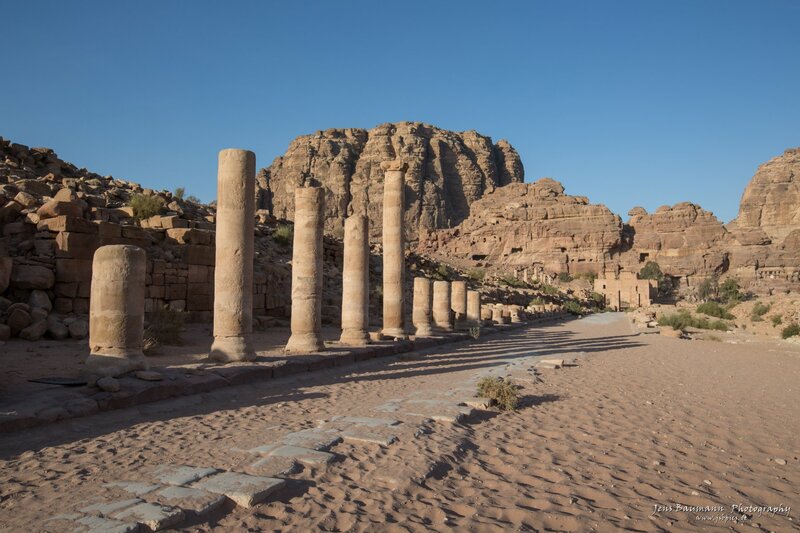 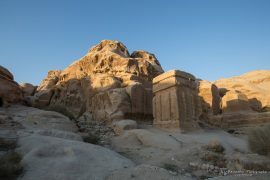 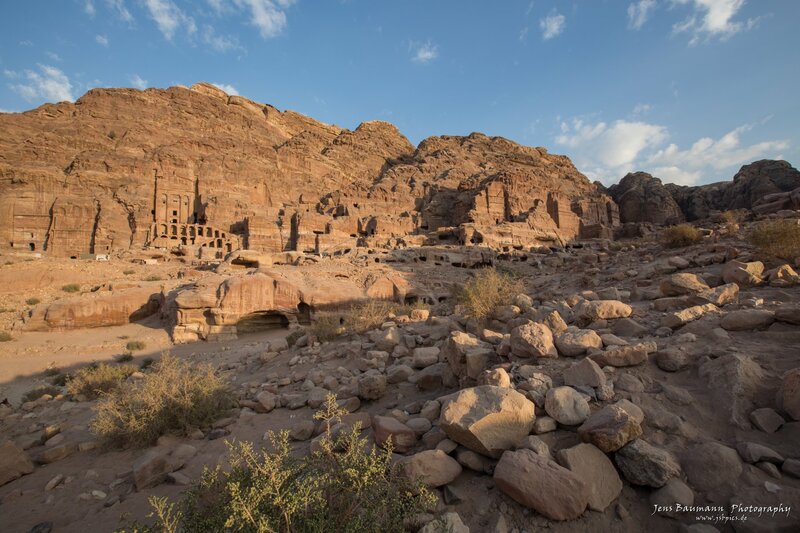 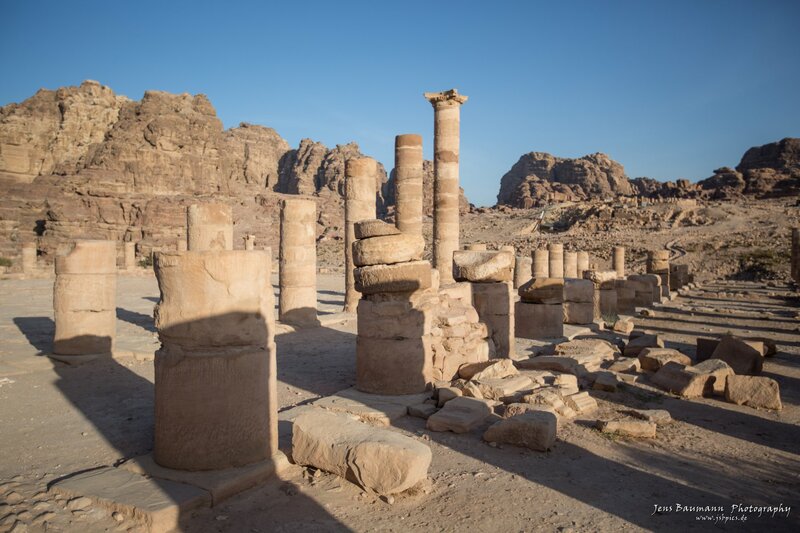 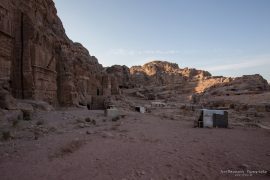 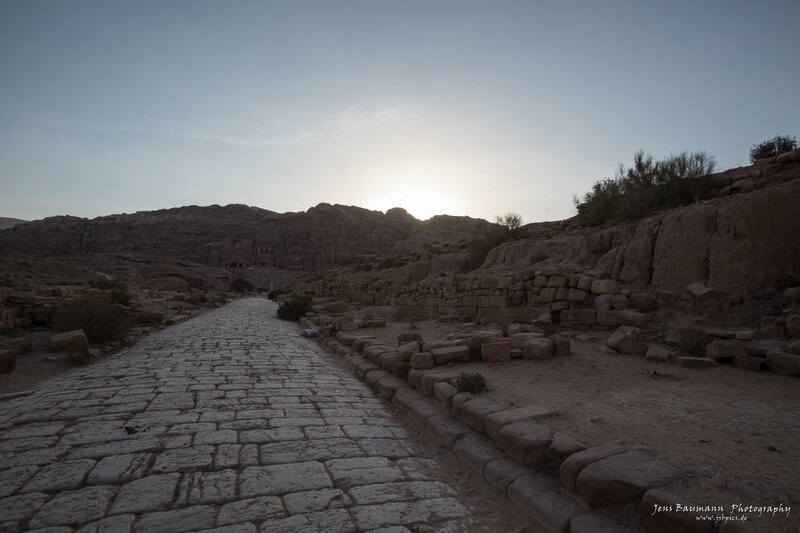 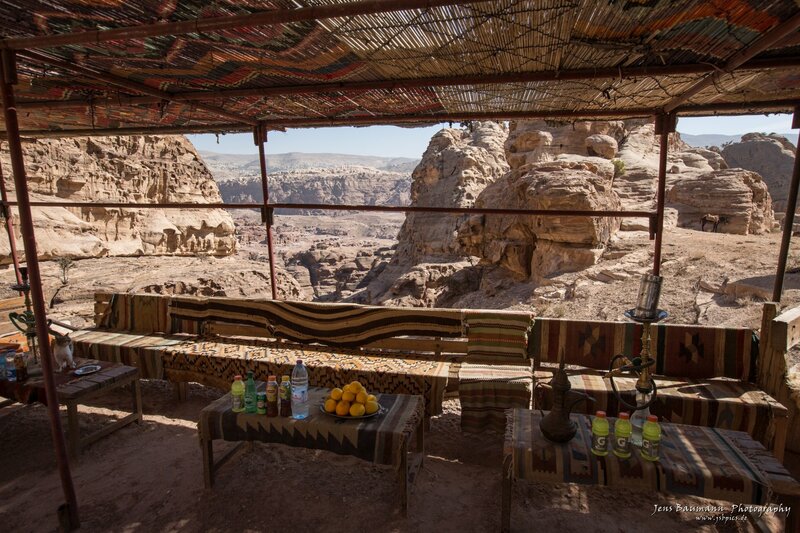 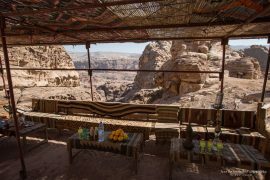 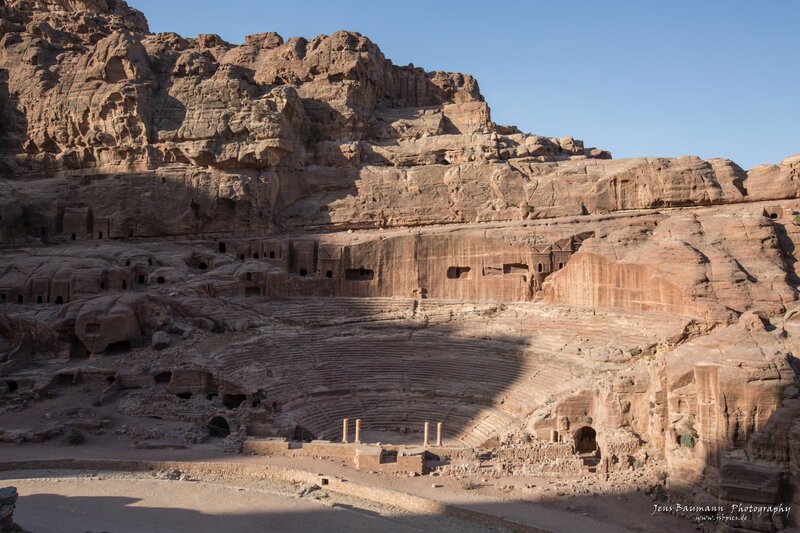 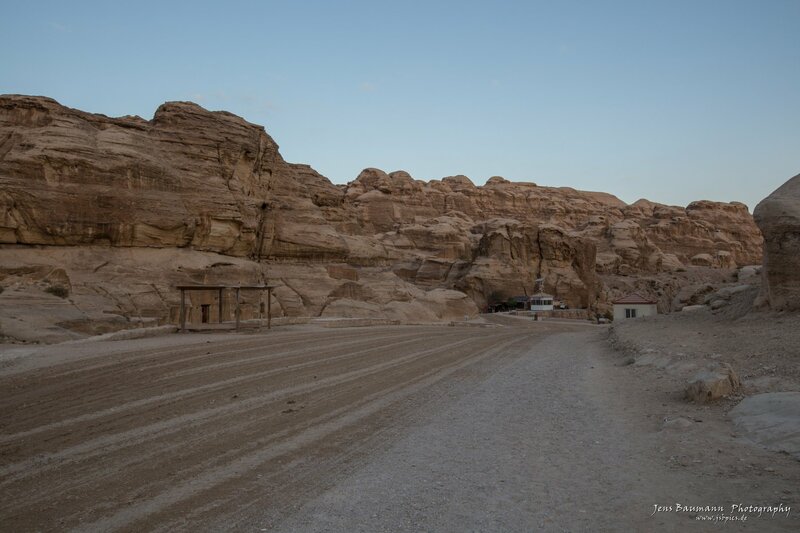 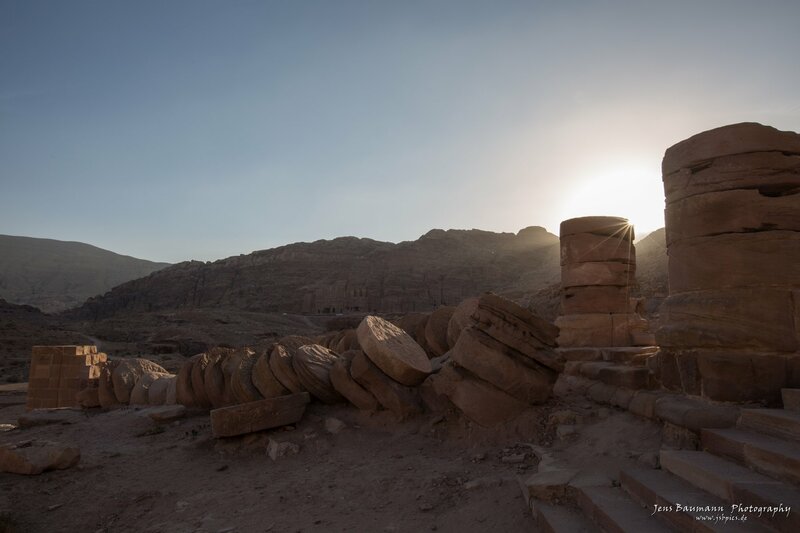 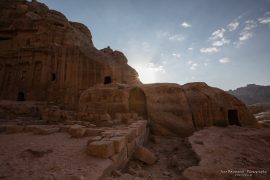 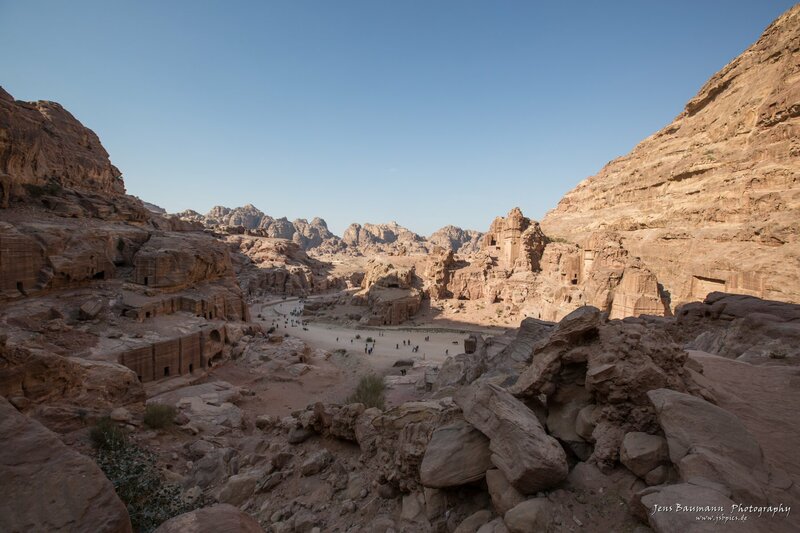 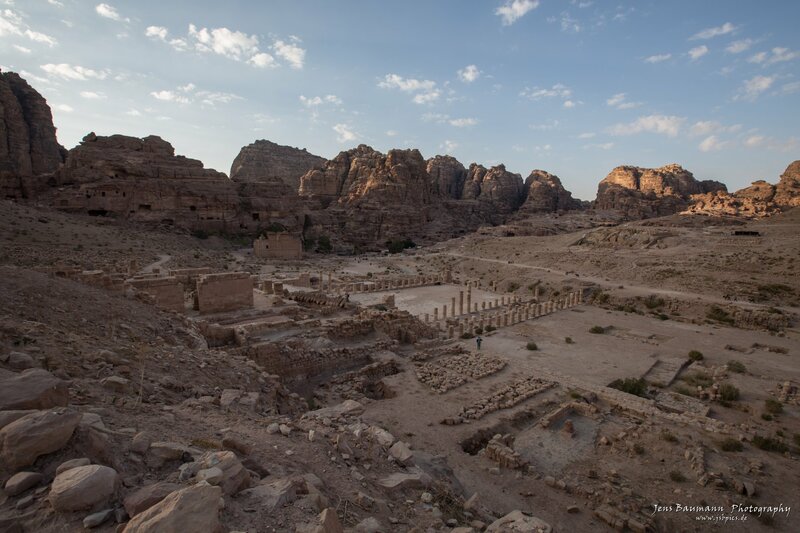 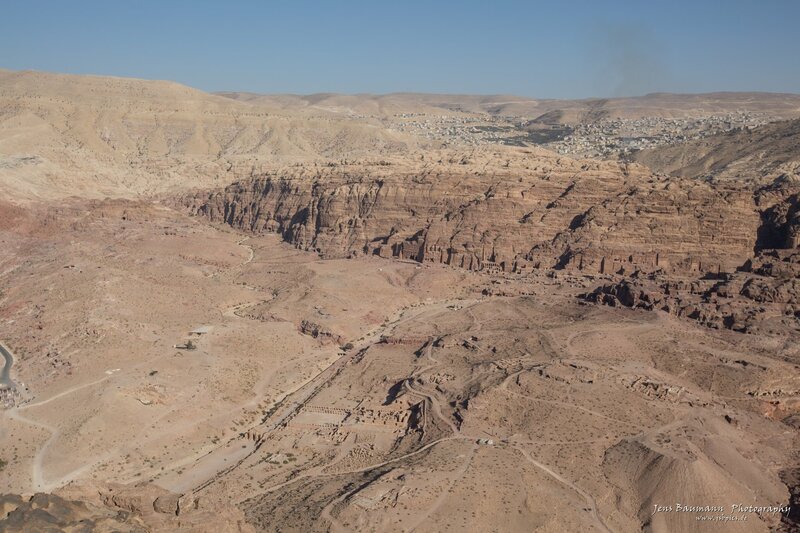 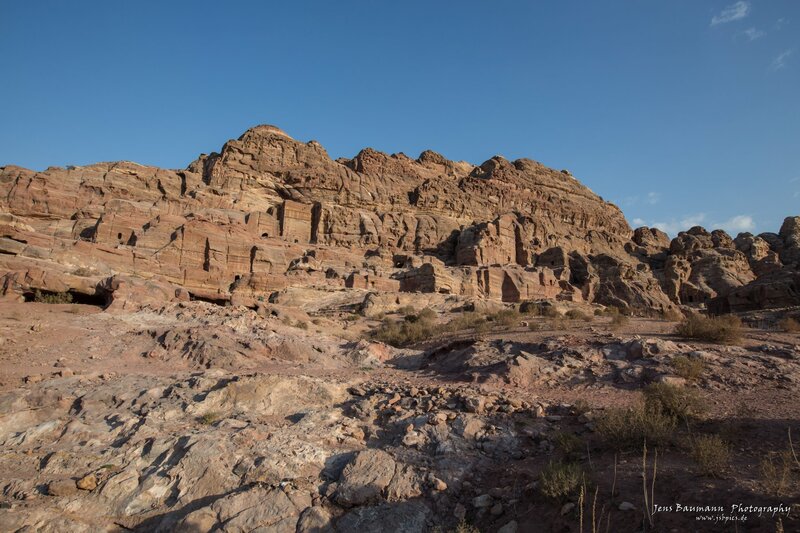 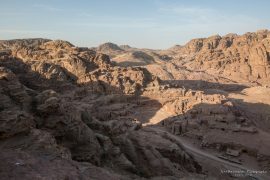 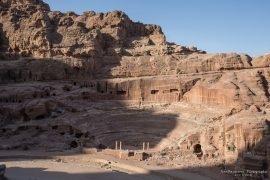 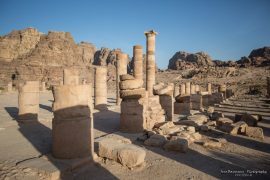 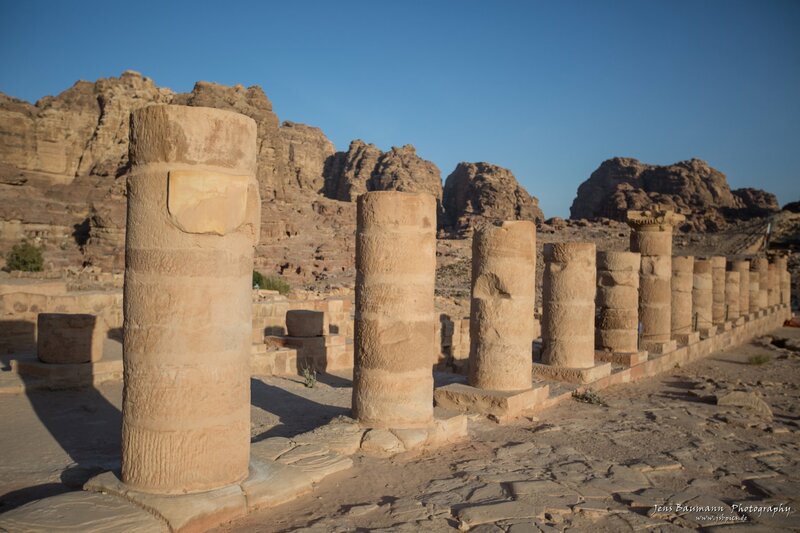 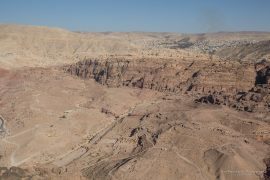 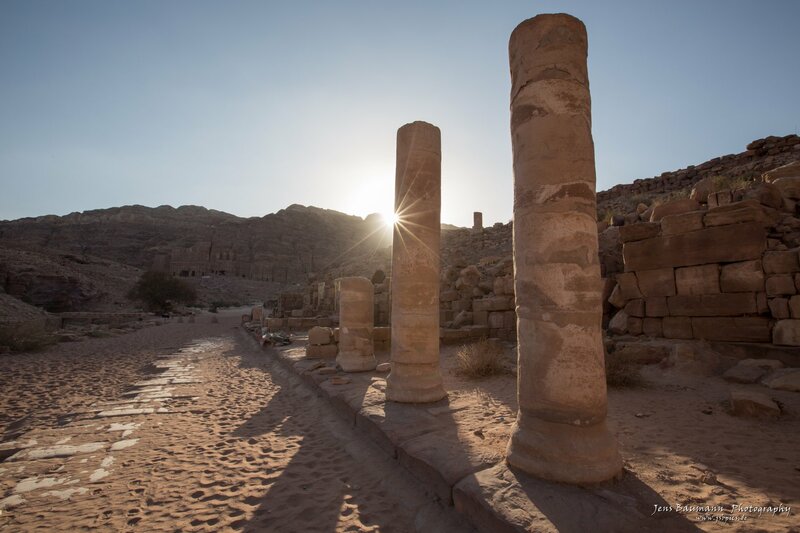 This time I spent 3 nights in the little town Wadi Musa, just at the entrance of Petra. 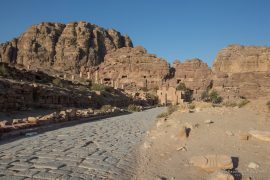 This has the advantage that I can just walk into Petra without any driving. 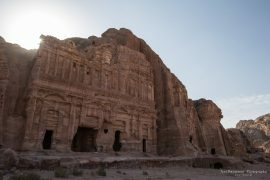 The entrance fee is super high, a 3 day ticket costs about 75 Euros and I cannot remember such a big Touristic complex at the entrance since my last visit. The temperature was very pleasant for November, around 20-22 Deg Celsius and during night it cooled down to around 10. The first day I arrived at noon. 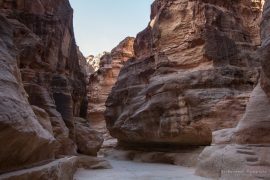 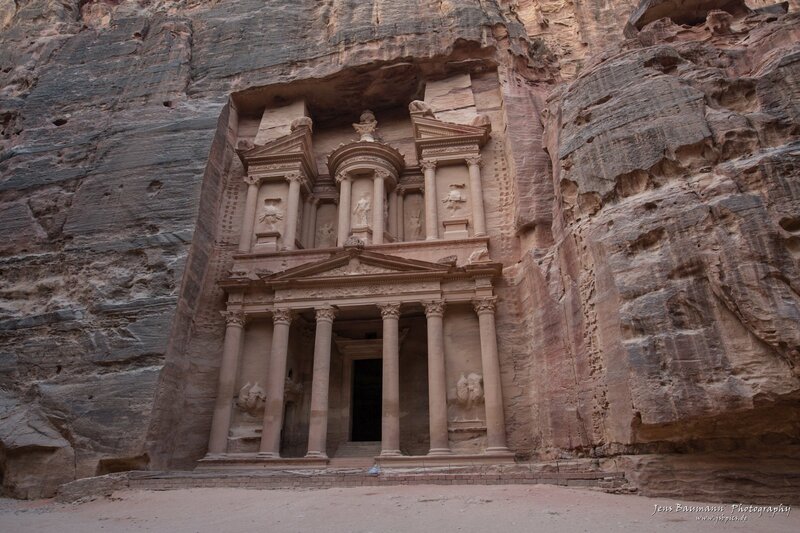 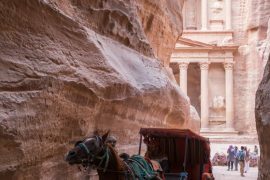 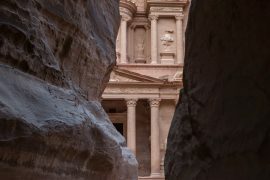 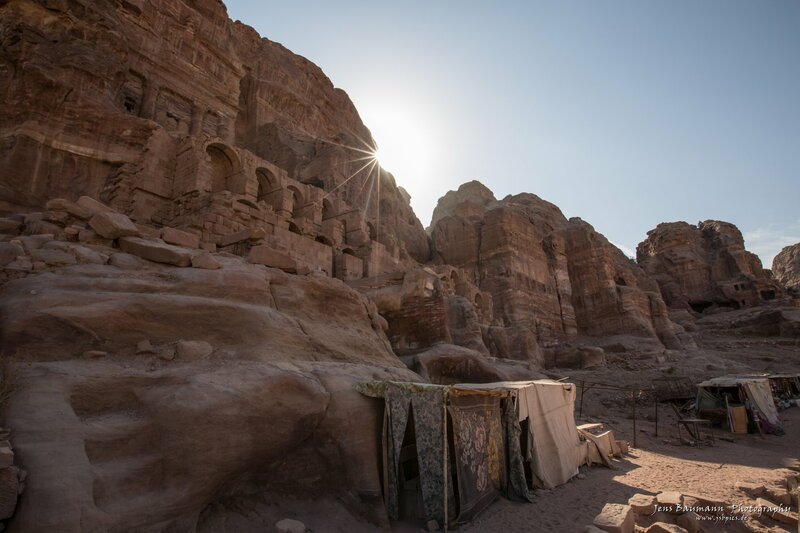 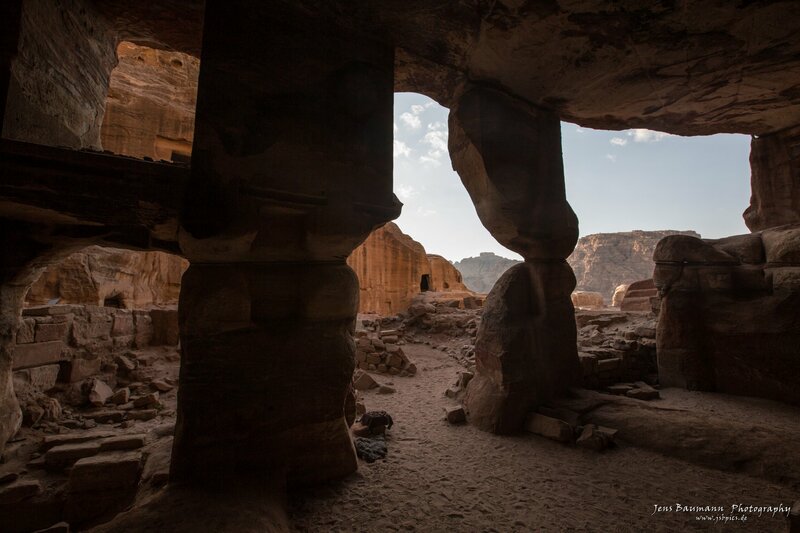 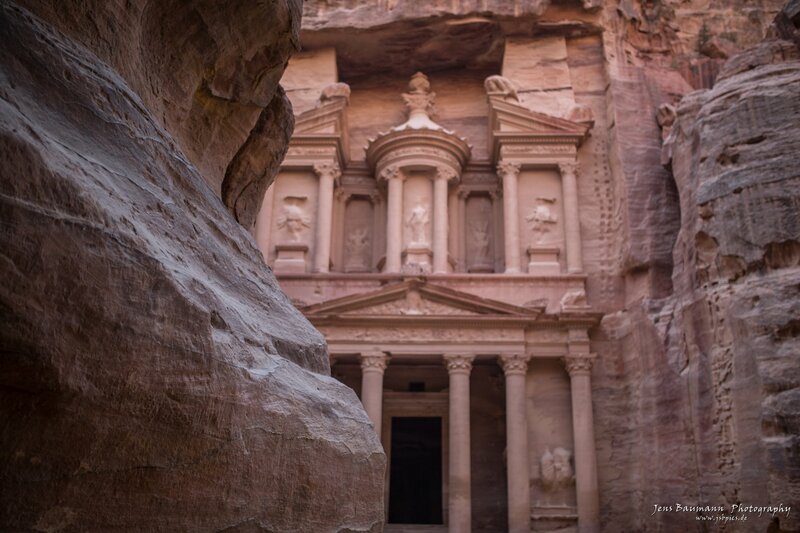 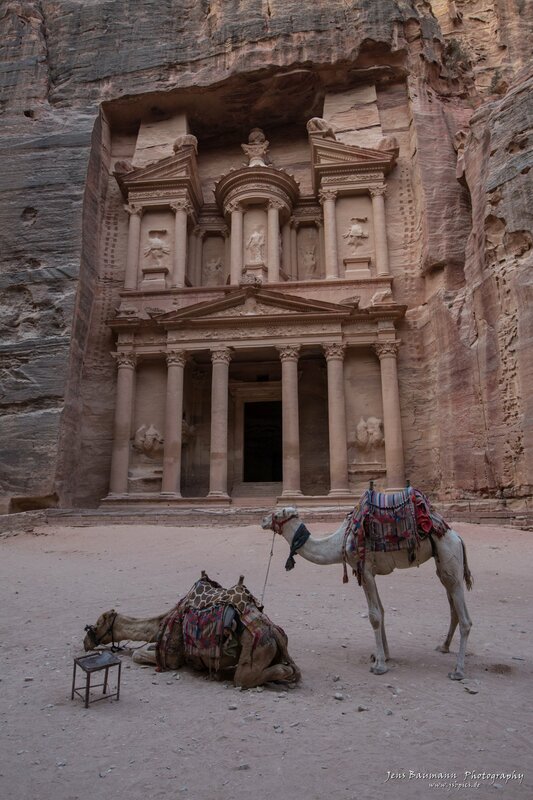 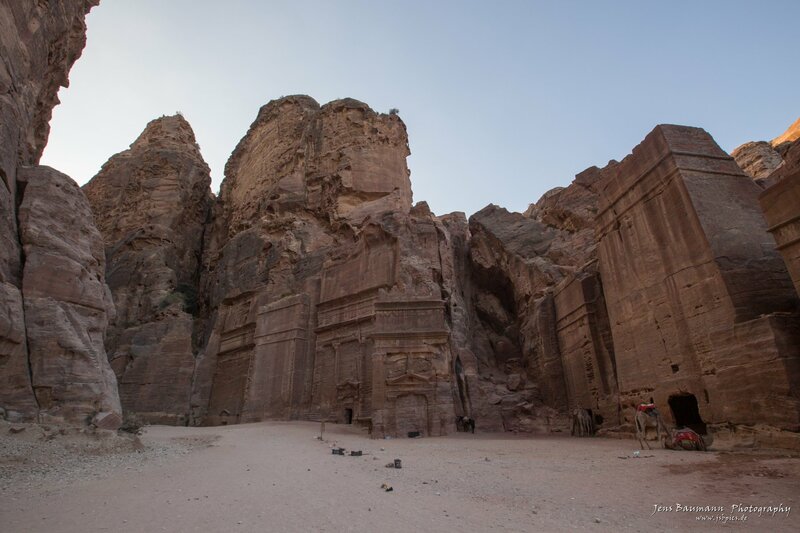 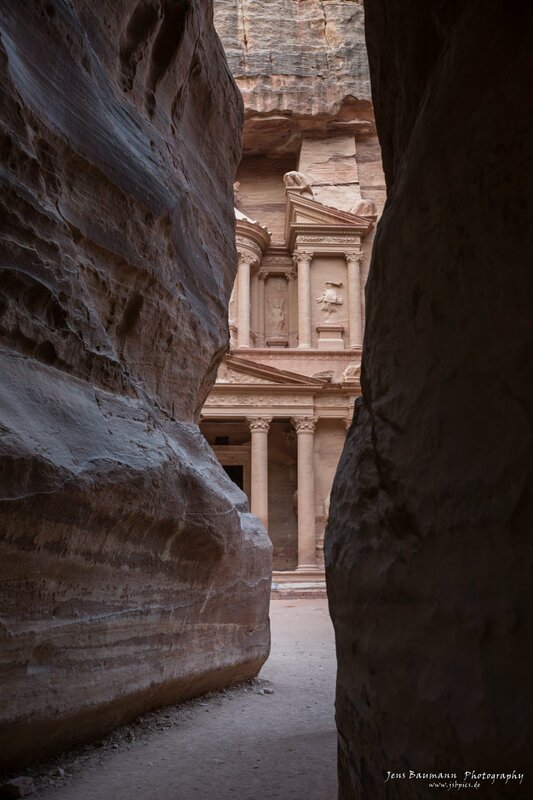 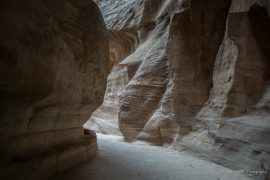 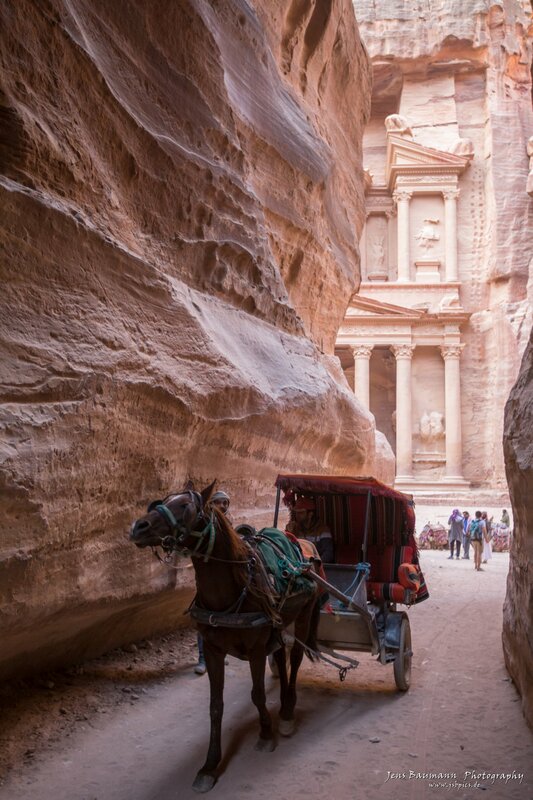 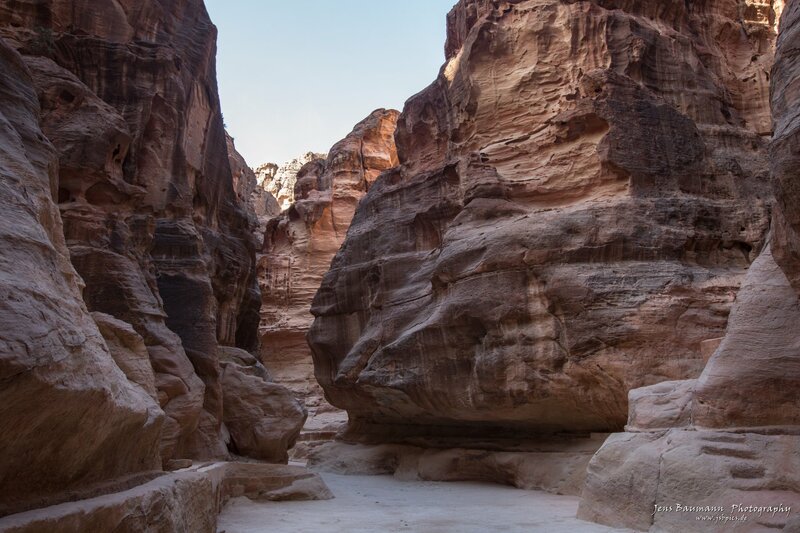 The main entrance into Petra is the Siq, a small narrow gorge with the most famous sight at the end – the Treasury. 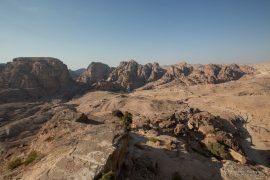 From there I climbed the High Place of Sacrifice with a great view around Petra. 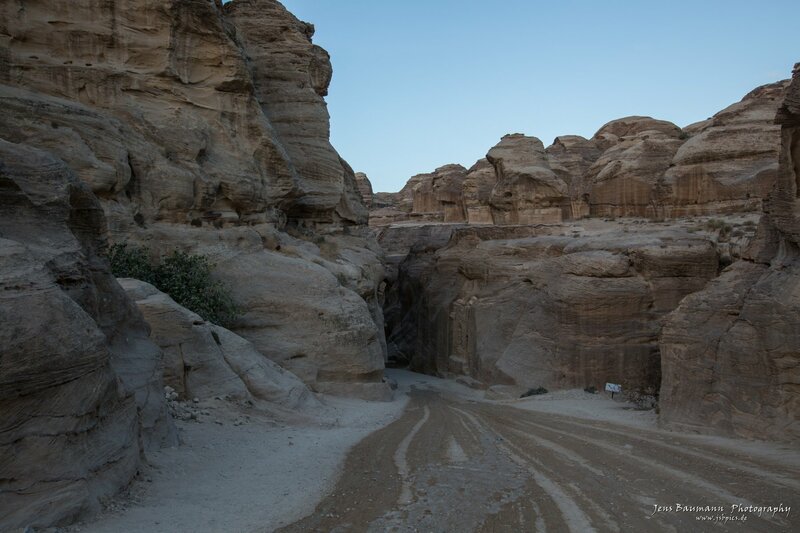 Here I followed the Path into Wadi al Farasa which is already off the beaten track. I almost met no one and the light was beautiful in the afternoon. 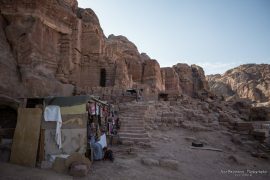 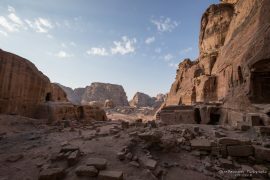 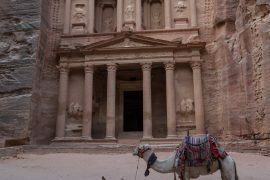 The second day I got up at 5:00 am to be in Petra before the tourists arrive. 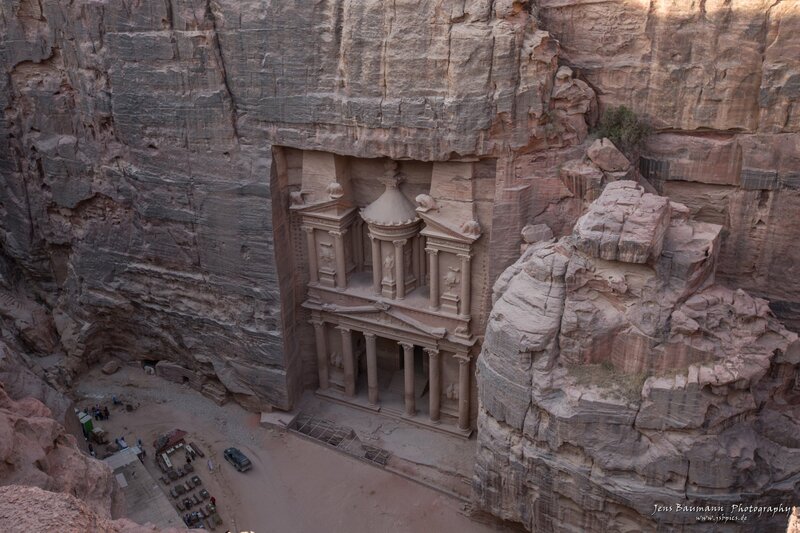 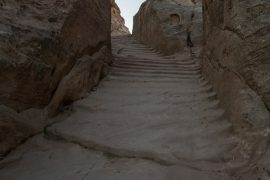 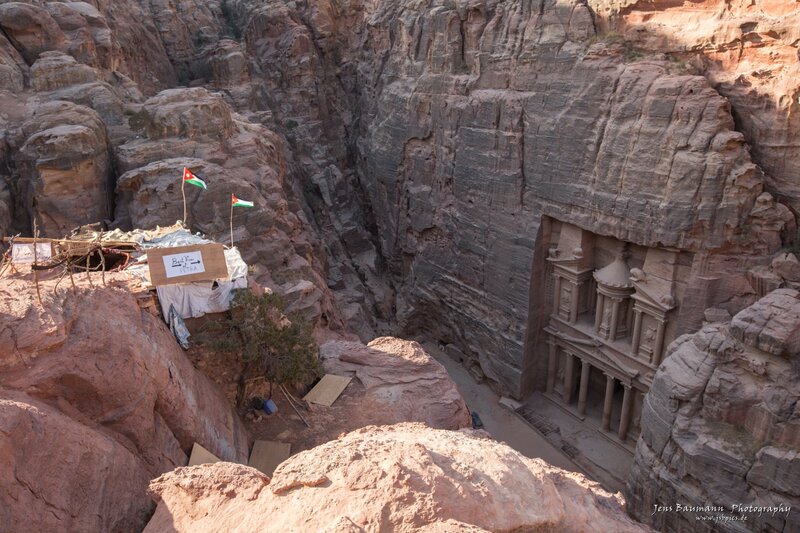 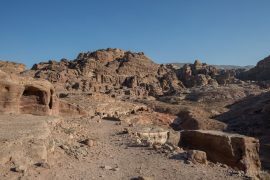 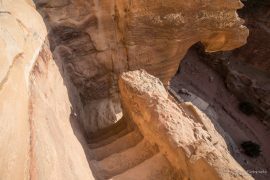 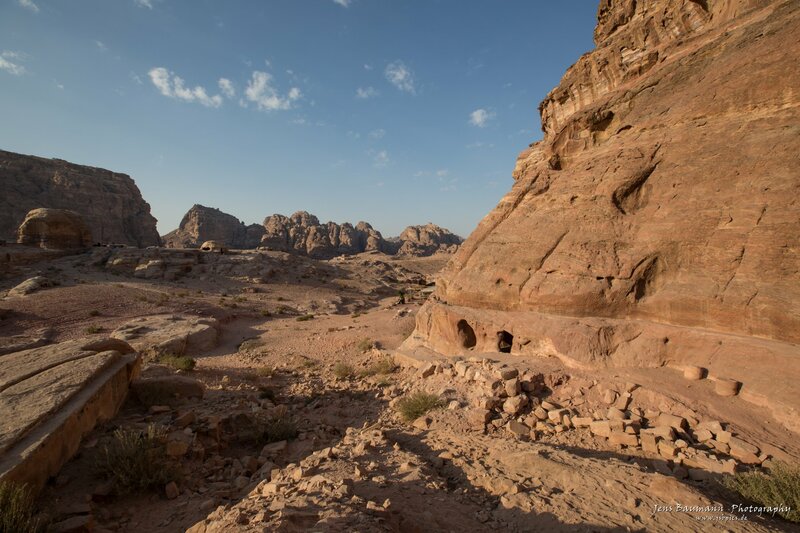 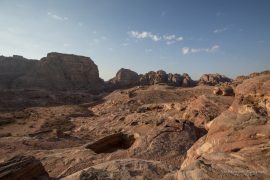 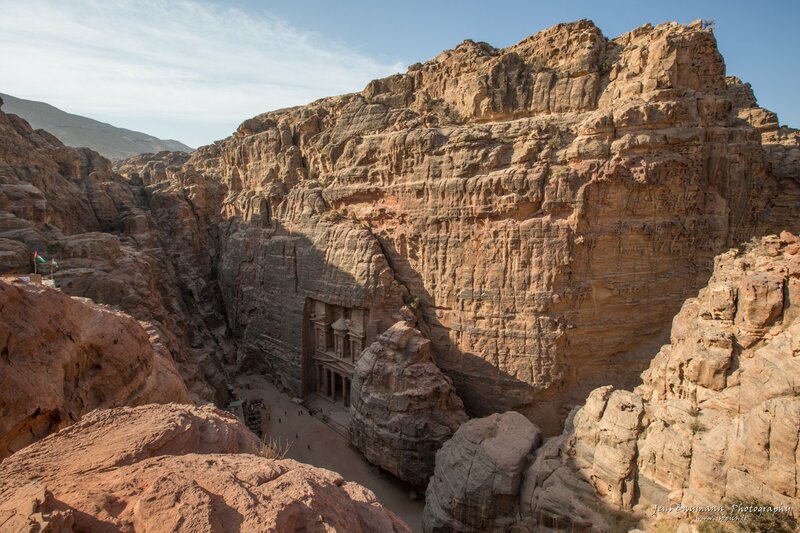 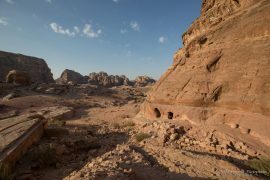 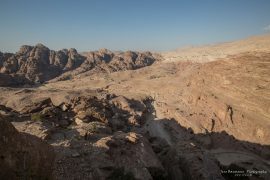 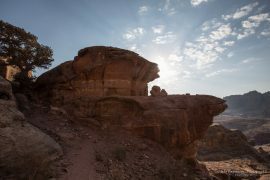 The first thing I did was hiking up the Al Khubtha Trail to see the Treasury from above. 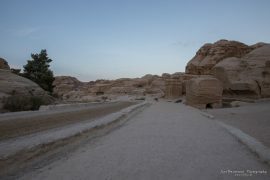 There were some nice views on the way as you walk above the royal tombs. 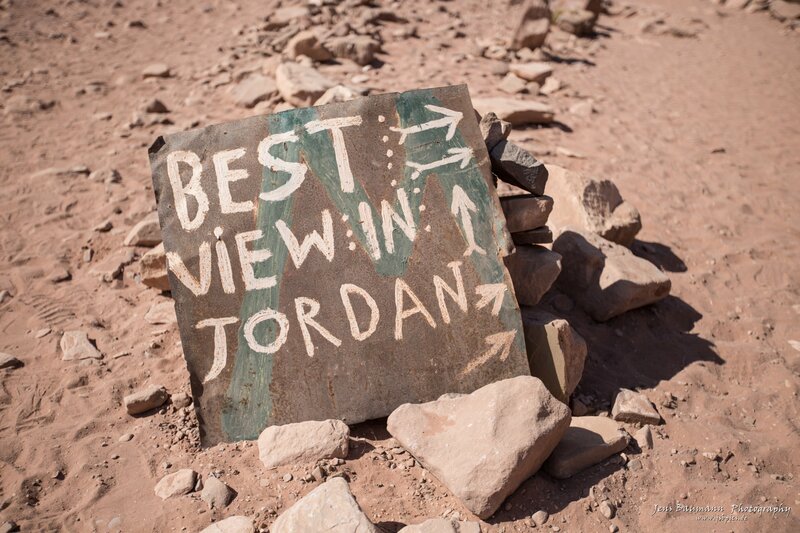 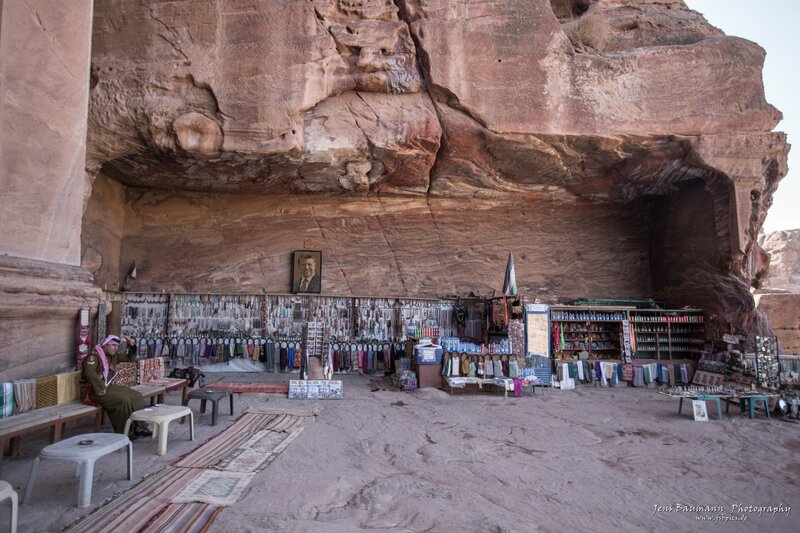 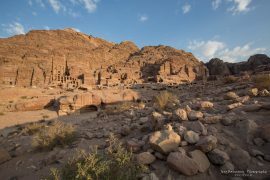 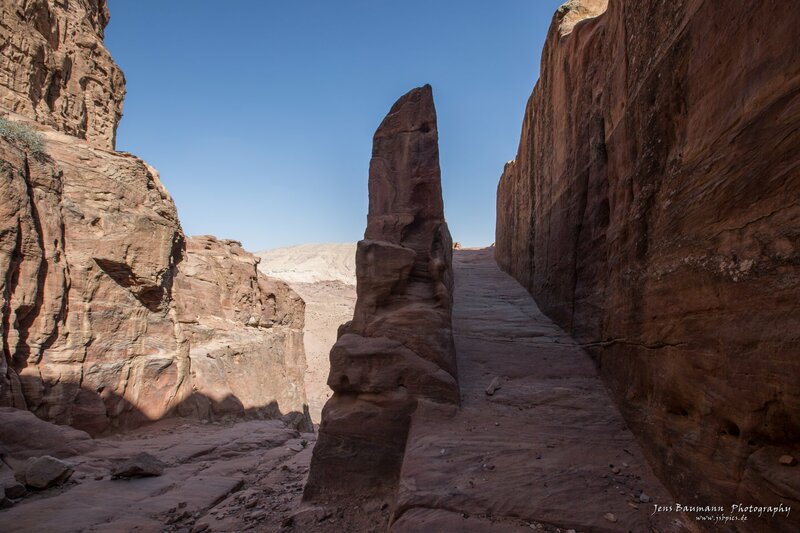 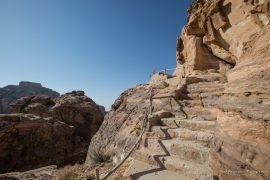 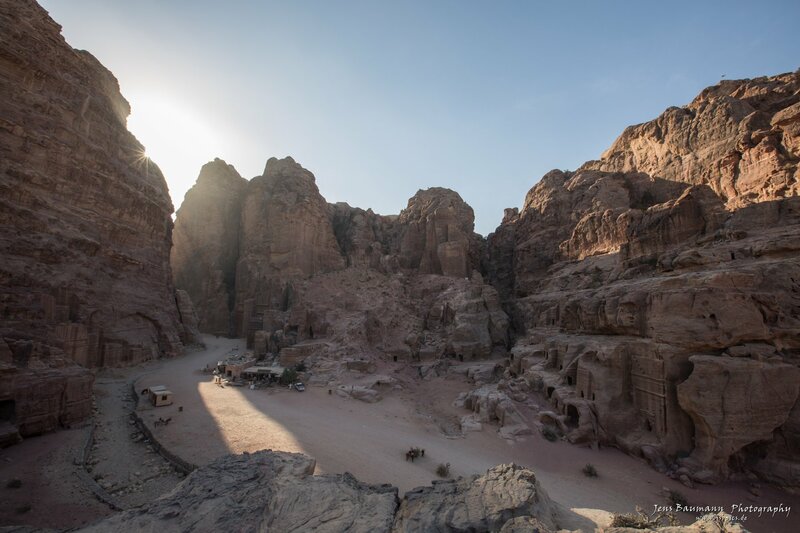 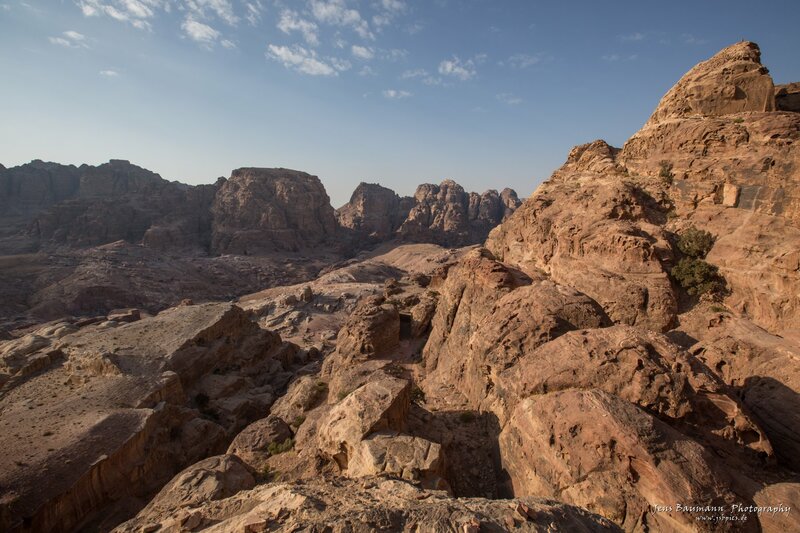 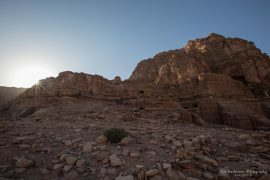 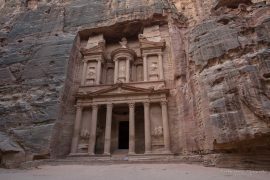 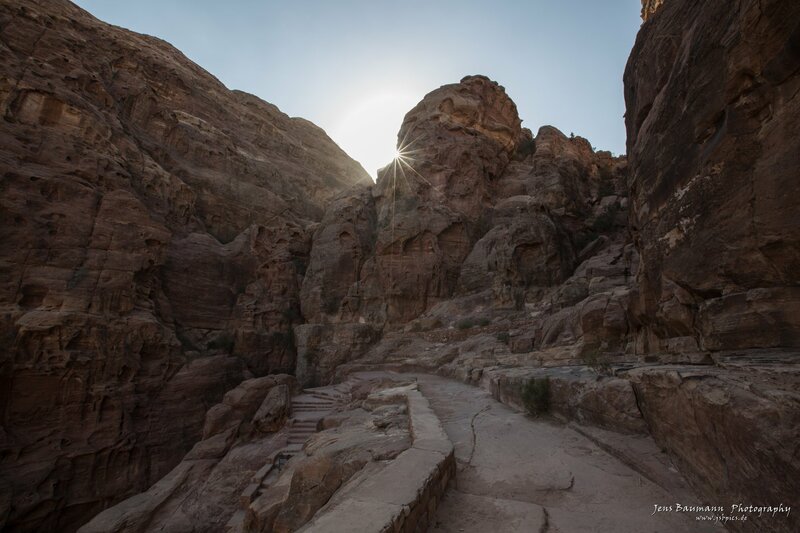 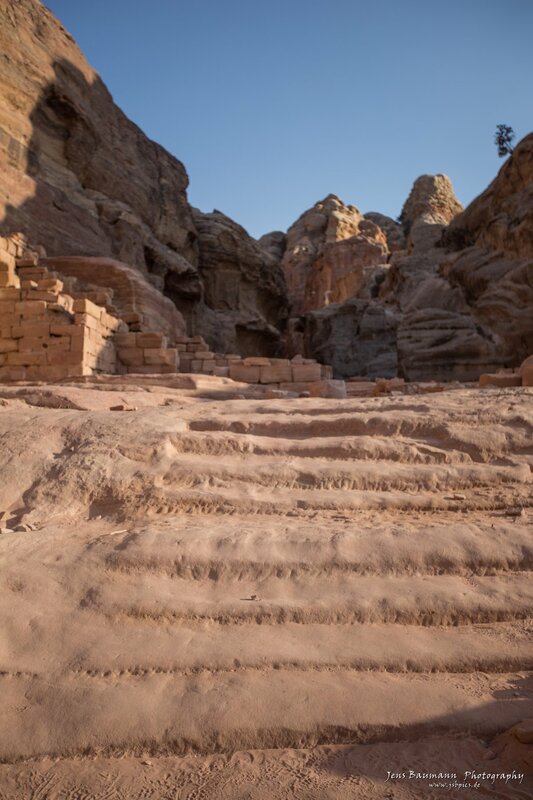 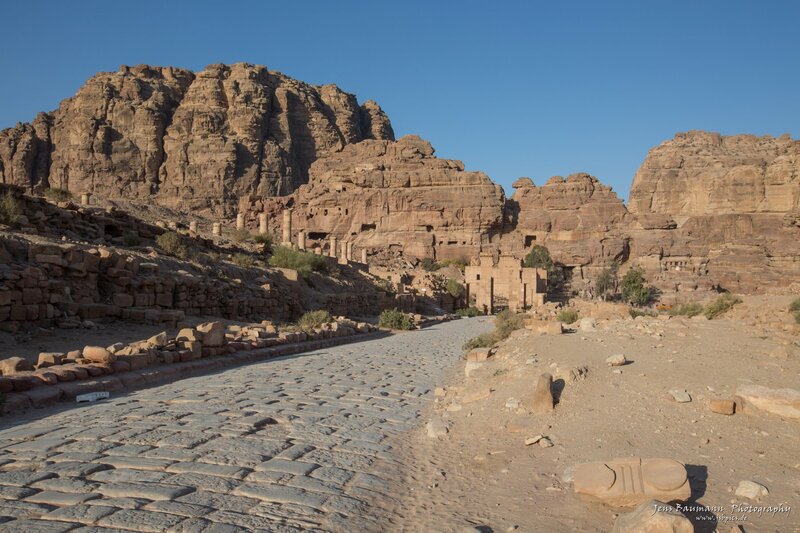 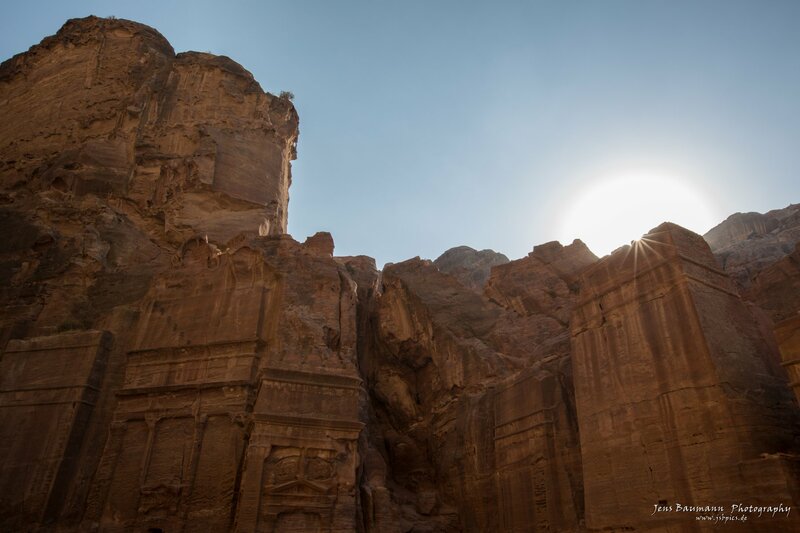 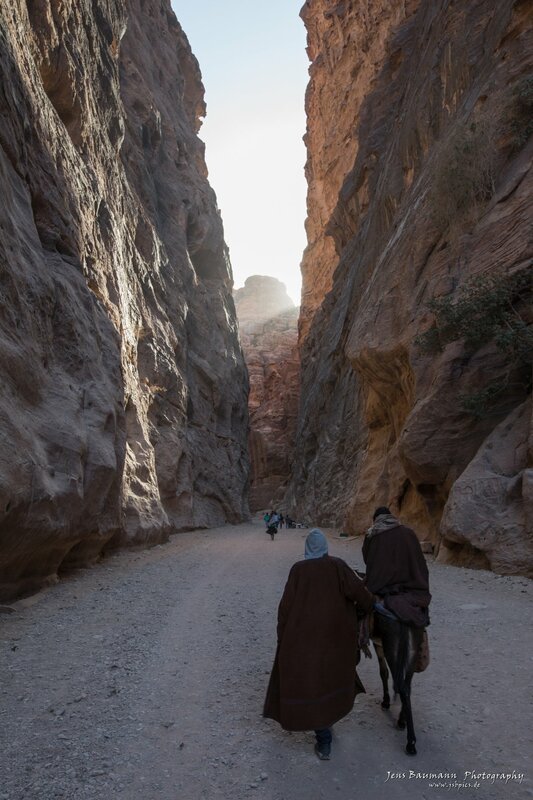 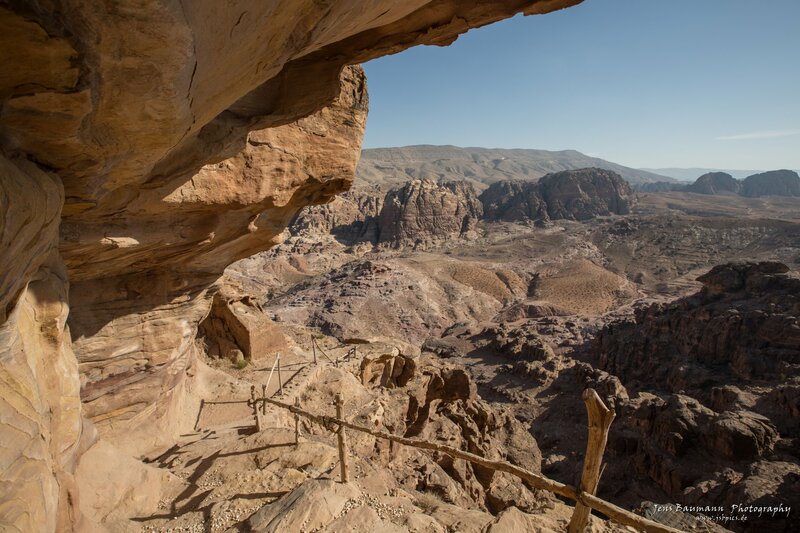 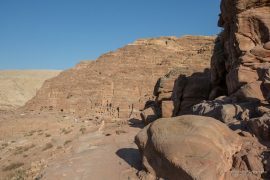 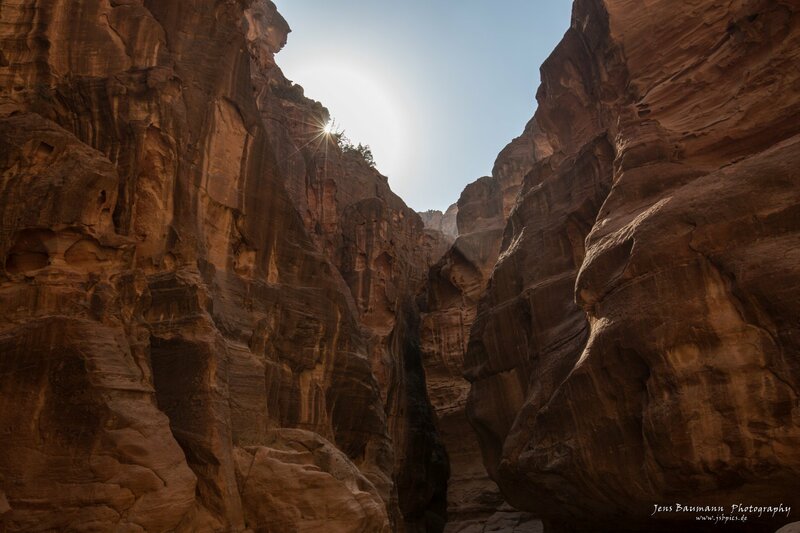 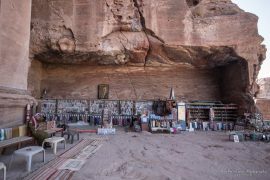 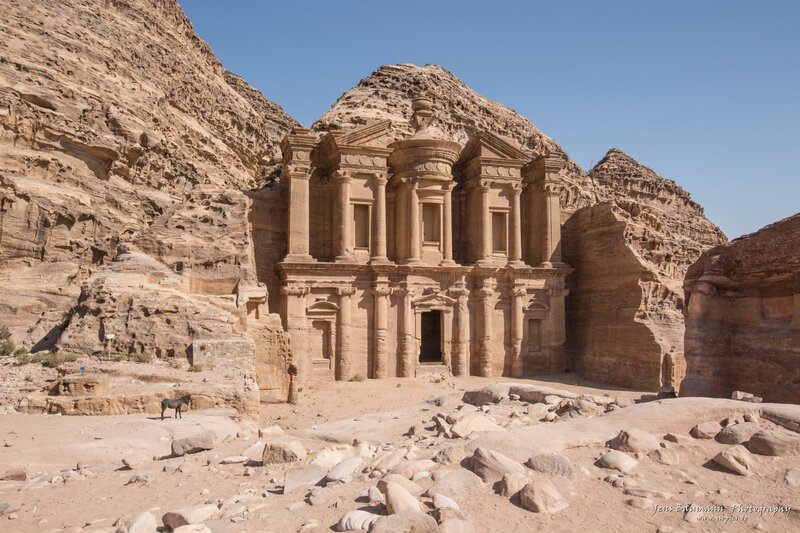 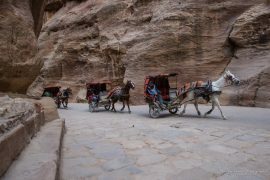 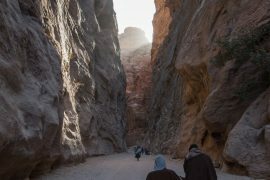 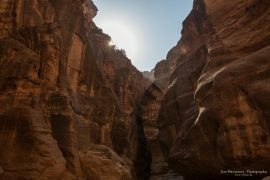 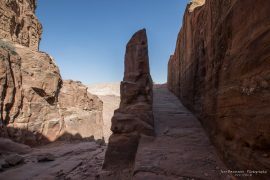 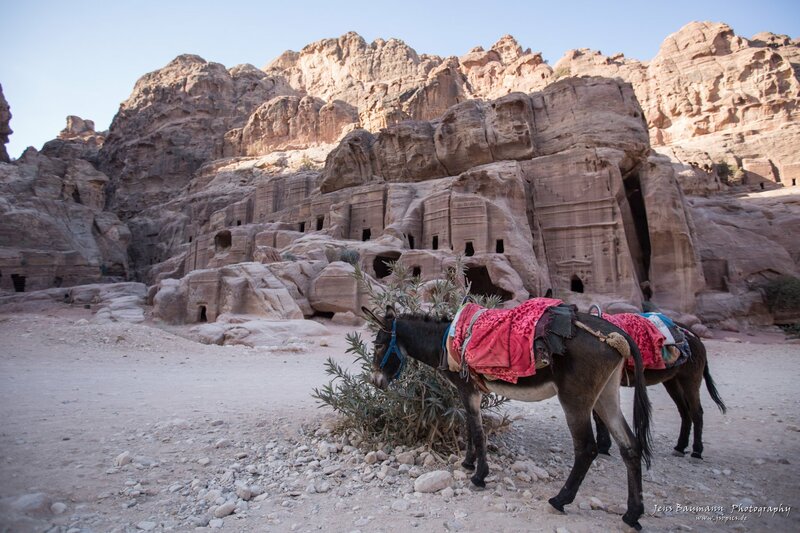 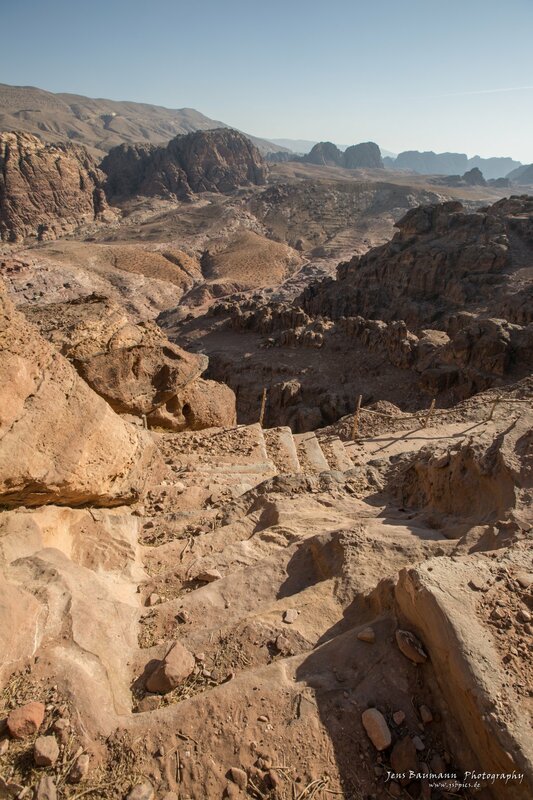 Later I hiked to the 2nd most famous sight in Petra – the monastery – Ad-Deir. 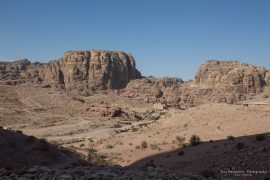 Here I rested a bit and had a tea. 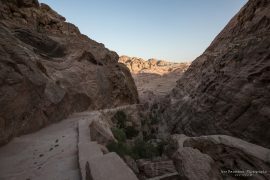 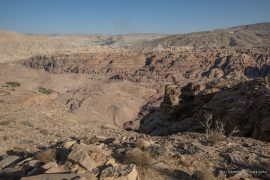 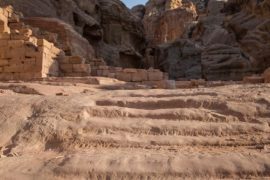 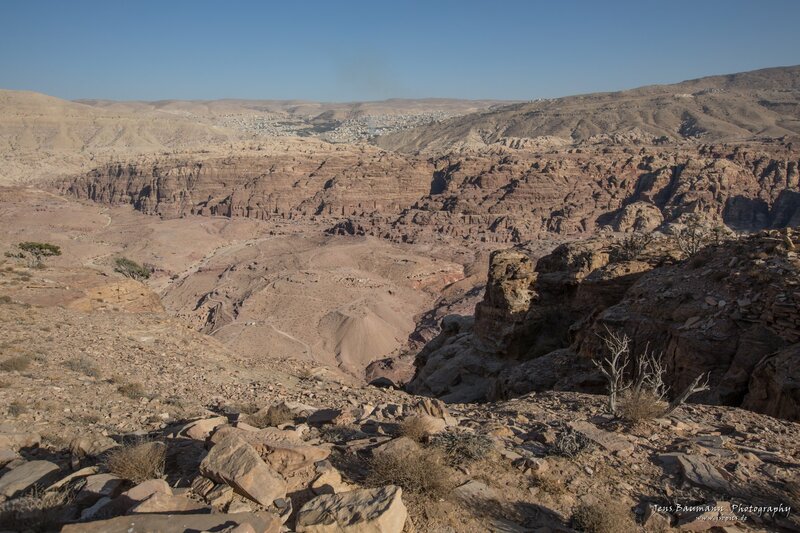 Back in the valley I hiked the Umm al Biyara Trail, the highest viewpoint in Petra, where you can also see some water cisterns on the top. 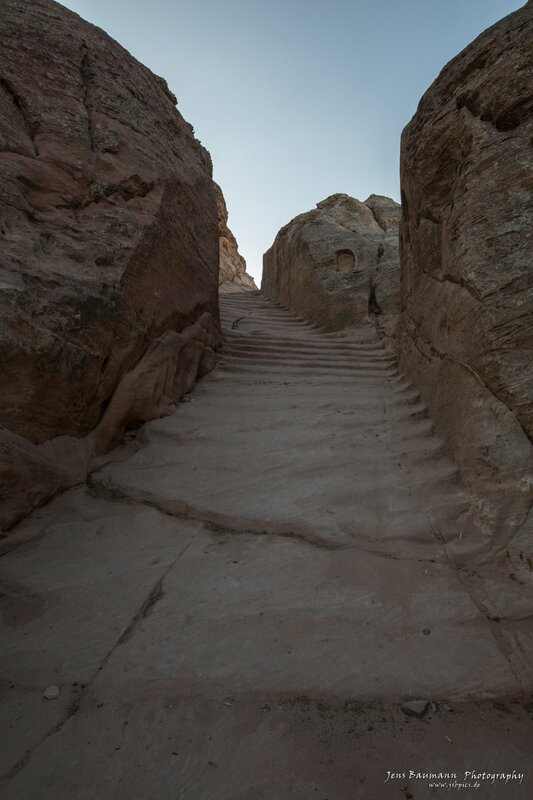 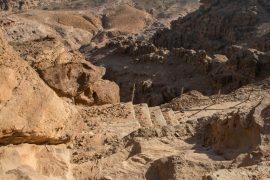 I needed my GPS to find the entrance, and the stairs/track was covered with rocks and dirt – definitely not in the best shape. 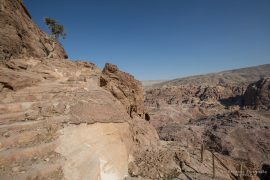 The view from the top was amazing and worth the way up, but the hike up in the sun was hard. 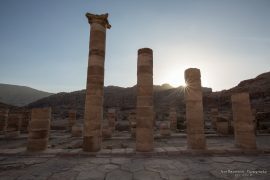 The third day I got up early again to catch the sunrise at the Colonnaded Street in the Center. 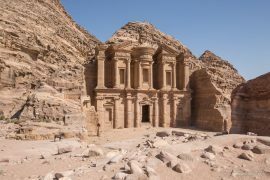 Again it was nice to have Petra basically to myself. But even during the day, as long as you start leaving the main road there are just a few people. There were some other treks I would have loved to do, but as they are not properly marked you would need to hire a guide – so I left something for next time.